Plastic lawns: are you sure you want one? Why do people install costly plastic lawns? This is a good question. And so is this one from a person on Quora.com, “Why would daycares install plastic turf?” Let’s take a look. It’s easy to maintain plastic lawns. 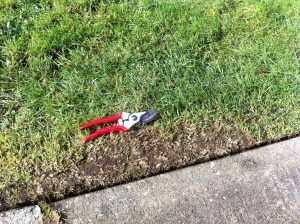 I imagine you just gently sweep them or hose them down. People are busy and maintaining natural grass is expensive. You need machines, time, gasoline or electricity, you have to deal with green waste and fertilizer purchases and it all requires effort. Probably weekly effort. 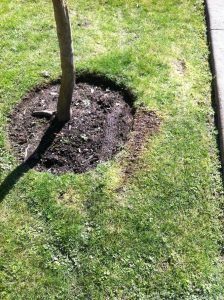 That’s why some people hire professionals like Proper Landscaping to keep their lawns beautiful; and some give up by making a costly plastic turf purchase. On the West Coast, our lawns are plagued by European chafer beetles. The larvae are in the lawns and animals come dig them up thereby destroying patches of lawn. Now, the cheapest fix for this is raking, top-dressing with soil and over-seeding. But it gets very old when you have to do this annually. All of a sudden, plastic turf starts to look attractive. 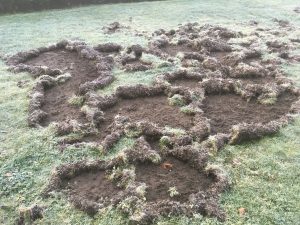 Animals dig up lawns looking for juicy European chafer beetle grubs. I’ve seen shady, below grade patio lawn patches that turned to nothing every winter. 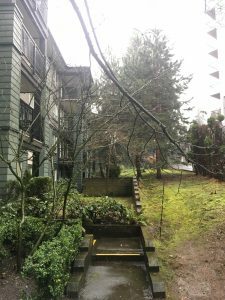 It was a constant fight to keep five narrow strips of lawn alive. So, the owners all opted for plastic turf because it eliminated the headaches with maintenance. The first time I ran into a company installing plastic lawn was in White Rock. 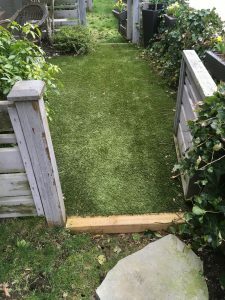 By the way, if you’re still considering plastic lawn after reading this blog post, then I can put you in contact with this installer. Now, back to White Rock. The owners have a narrow lawn patch and a large dog. They also like to use their sunny patio. But the small patch of lawn was no match for their dog. The copious amounts of dog urine “burn” the lawn because it’s way too much fertilizer for the lawn to absorb. You can spray the dog spots with water in theory but in practice people just kick the dog out and let it do its business. So, in this case, plastic solved their problem. This used to be a nasty dog-damaged patch. One case from England showed an enclosed backyard where the only mower access was through the house! That’s not a good situation. I guess you could use a line-trimmer but you would still have to go through the house and the result would be a nice looking lawn. Here plastic lawn made sense. The only access here is through the house so the owner opted for plastic turf. I don’t like anything artificial in nature. If I had a house, I would either go for some sort of green alternative or I would maintain the lawn without gasoline mowers. If I had to use a gas-powered mower, I would definitely use Aspen fuel instead of regular gasoline. I would never let my kids attend kindergarten with plastic turf. Why not plastic turf? This is the key question. Plastic lawns heat up and may require summer watering. And summer watering may not be possible with summer watering restrictions. A few years ago my son played a soccer match in sunny White Rock and the plastic turf was so hot, his plastic cleats were super hot. And I don’t even mention the off-gassing that may be going on as the heat hits the plastic. Right now, heat absorption is the biggest problem with plastic lawns. When I mentioned the above quote in my answer to the Quora question, some people got mad. I’m not saying you can’t have your plastic lawn. If you have deep pockets, do it. It’s your lawn. But, plastic lawns kill or severely diminish life in the soil because they limit water infiltration and cook the soil as they heat up. Also, not many organisms want to make plastic turf their home. 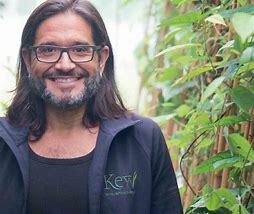 I totally agree with Ignatieva, plastic lawns are not the answer. Overall, plastic lawns heat up our cities and they remove real nature from them. I personally would never buy one. But, there are some desperate cases where plastic eliminates maintenance headaches. Newly planted cedar (Thuja occidentalis) hedges often fail to establish in our strata landscapes. I see it all the time and it feels like a waste of time and money. While there may be soil issues, I find that most of the time it’s lack of proper watering that affects the new hedges. New cedar hedges require lots of water but residents are busy with their lives; and landscapers aren’t really paid to water the landscape. They have other pressing issues to attend to. 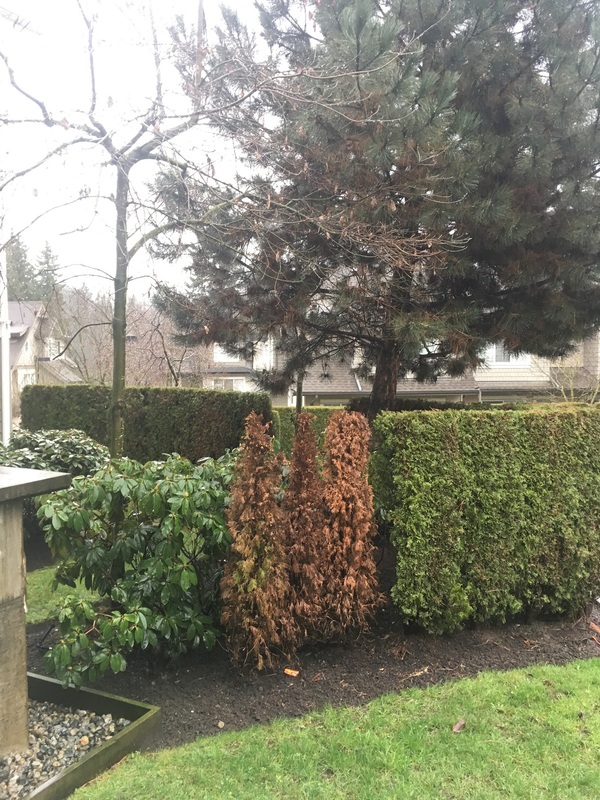 I personally planted the three brown cedars (Thuja occidentalis ‘Smaragd‘) pictured above and I watered them in. That’s it. Then it’s up to the resident near-by to water them regularly; and she happens to be a home-gardener. Now, there is some shading from a dogwood and a shore pine but for hedges this new it’s definitely lack of water. So now what? More cedar hedges? I doubt it. That would be just throwing money away. Let’s take a look at alternatives. Finally, some good news. 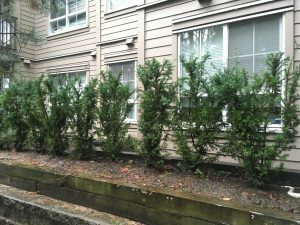 I planted this row of Hick’s yews (Taxus) in a shady back area facing a public park. There used to be cedars but they were all doing badly; some weren’t even upright. So we tossed them all and started over. 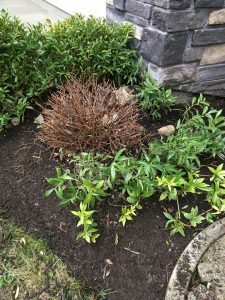 I planted these yews last year and they inspired this blog post because it was nice to see them all green and growing. That’s how I like it. I’m confident they will do well. Yews are more resilient than cedars. The yews will fill out and may require gentle hand pruning on top. This was another fight. 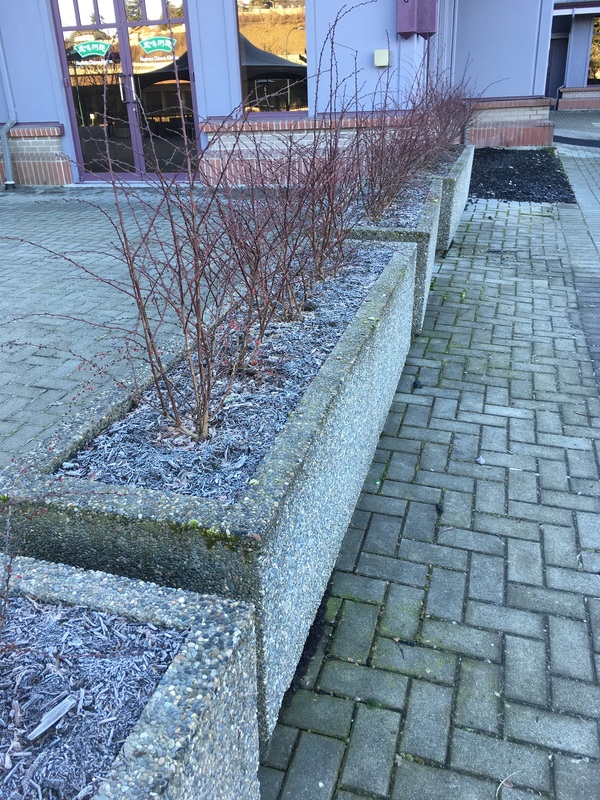 Narrow planter boxes planted with cedars and the plants kept failing. 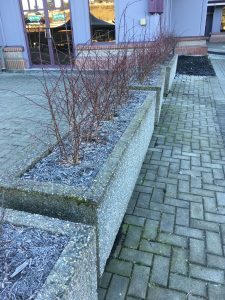 The planters offer limited soil and root areas and the building maintenance personnel are too busy to water regularly. In addition, the patio heats up in summer, blasting the cedars with reflected heat. So we installed Berberis thunbergii which are tougher than cedars. They have beautiful purple foliage and in winter they sport red berries. I will check on them in twelve months. 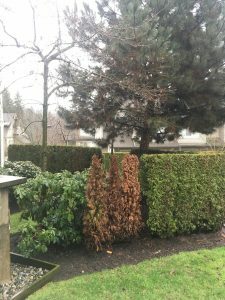 Cedar hedges require lots of water to establish in the landscape but, sadly, they don’t often receive adequate amounts. Then they decline and die which is a waste of money and time. Luckily, there are alternatives like yews and Berberis. You can try other plants and have some fun with it. Proper landscape maintenance requires good planning. Depending on the size of your site, there should be a clear rotation so that every corner of your property gets serviced. Jumping helter-skelter through your sites could lead to disaster. And yet, as much as you try to stick to your plan, requests and emergencies can side track you. 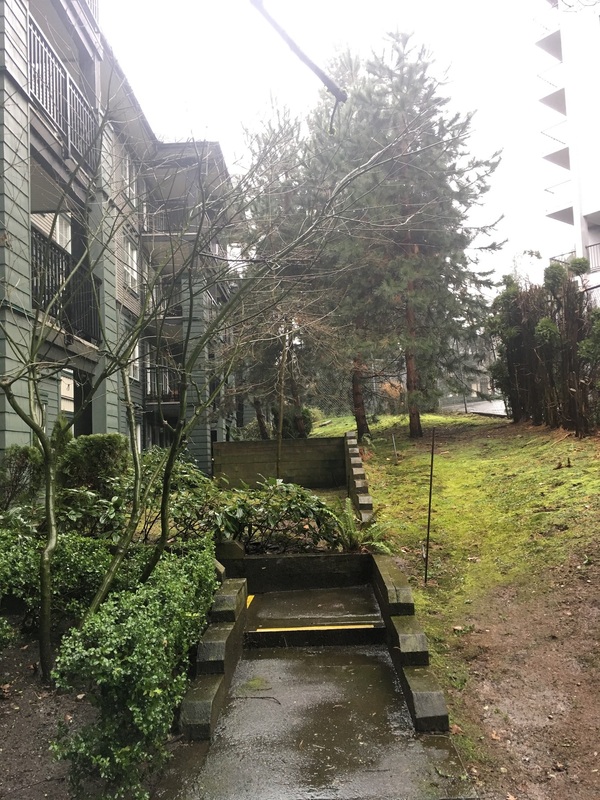 Small owner requests should be done right away, unless strata approval is required. For example, you can’t remove a small landscape tree just because Mrs. Rose from unit 6 wants it gone. But, if she has a few big weeds by her entrance, take care of it right away. Bigger requests should be noted and pushed to your next visit. Try not to stray from your plan for this week but do write it down so you don’t forget. This happened to me recently at a new site. The owner had asked me to re-stake his Styrax japonicus tree but I didn’t have a staking kit. So I promised him I would take care of it next week but I failed to write it down. Then I was slightly red-faced when he asked me about it the following week. Always write down requests that can’t be done on the same day. The tree is now re-staked. Some tasks are more urgent. Like the exit walkway pictured below. As soon as I saw it, I knew it had to get done today. It’s just too annoying for people accessing the building. 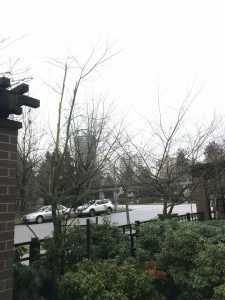 The big branch belongs to a mature Pin Oak (Quercus palustris) and it’s leaning on a vine maple (Acer circinatum). Since I didn’t have an extendable chainsaw, I pulled down the big branch and used a hand saw. It’s not pretty but at least the residents will not suffer any injuries. Take care of walkway obstructions right away. Have you used the “wiggle test”? I was recently sent to a new strata site to re-stake a Japanese snowbell (Styrax japonicus) tree. The owner was concerned because the tree was leaning on his gate. So I picked up the required tools and materials for tree staking: stake pounder and a headset, two stakes, arbor tie, and a staple gun. Compared to its cousins in neighbouring yards, this tree wasn’t doing as well. And I wonder why? 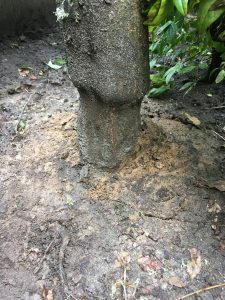 It has fewer branches thanks to past pruning, and there is a distinct bump on the trunk close to the ground which almost looks like the result of previous injury or girdling. First, I removed the old stakes. Tree stakes shouldn’t stay on for more than a year and clearly this tree is older than one year. Then I installed two new stakes so the tree wasn’t leaning anymore. When I moved the tree trunk, the root ball moved as well. This is where the unscientific “wiggle test” comes in. I learned about this test from Dr. Linda Chalker-Scott. When you gently move a tree trunk the root ball shouldn’t be moving on healthy, well-established trees. The same is true of shrubs. On this Styrax there was a lot of movement so I jumped over the fence into a neighbouring yard and performed the same test on another Styrax. 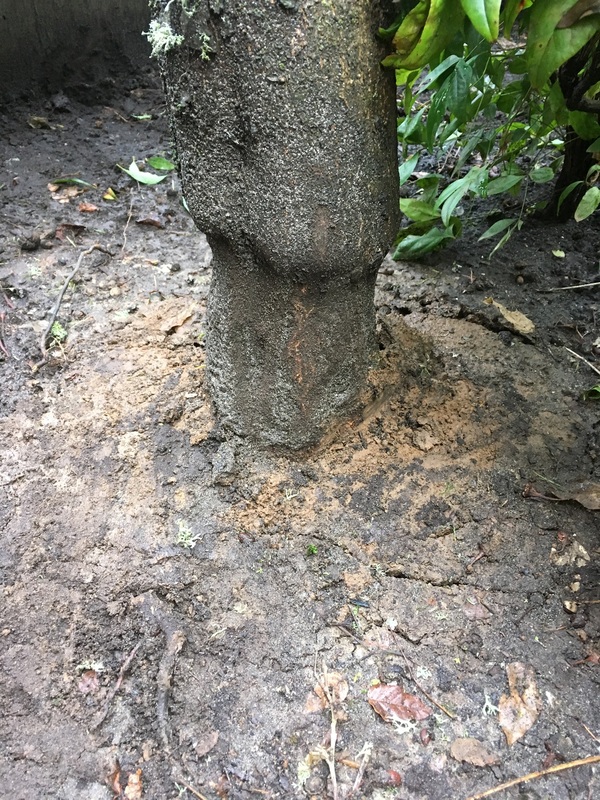 The trunk moved but the root ball held nicely suggesting that the tree is well-established and healthy. I used a staple gun to attach the arbor tie to both stakes and I had just enough staples for the job. Always bring spare staples and extra stakes just in case things go wrong. I worry about this tree because it should be well established like its cousins nearby; I’m assuming, of course, that all of the trees were planted at the same time. When I performed the “wiggle test“, the root ball was moving which is bad. Considering the size and age of this Styrax, it should be nicely established. But, since I’m new on this site, I have no idea what happened in this yard in previous seasons. If you have doubts about trees and shrubs in your gardens, try the “wiggle test“. It’s unscientific, but it gives you a good indication about the health of your plant. Re-staked Styrax is on the left. Somebody on Quora.com posed this question and it took me just seconds to decide what the biggest no-no in lawn care is. I hate lawn scalping so much, I call it the ultimate sin. Just remember that new workers have to gain experience and are likely to make mistakes. It’s not the end of the world but they must be aware of it. Careless mowing shouldn’t be tolerated. Here’s what scalping is and why it’s a sin. 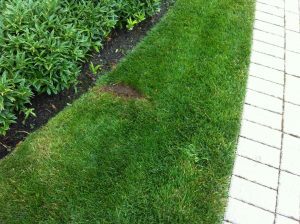 Scalping happens when your mower slips off the edge of your lawn and the blades cut into it. This leaves a nasty brown spot in your lawn. New lawn care workers are warned not to get too close to the edges because line trimmers are coming along to take care of the danger zones. 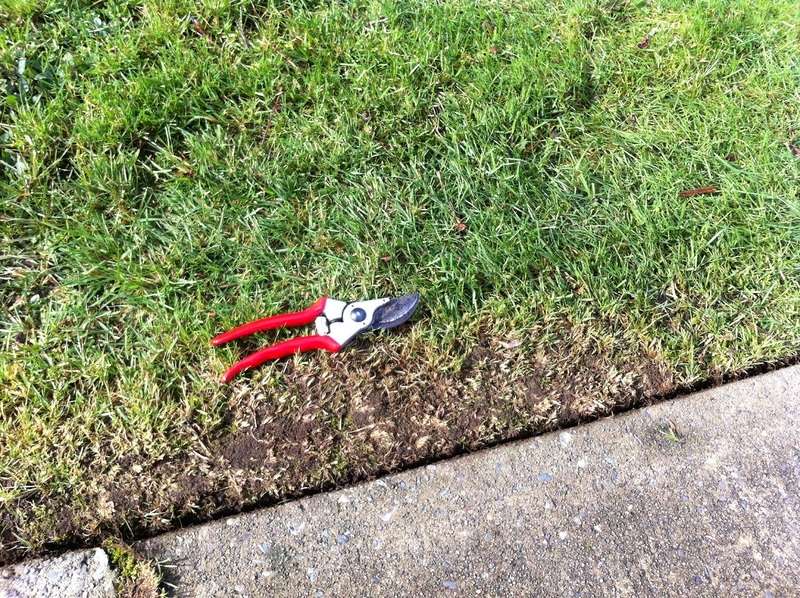 Note that line edgers can also slip and scalp lawns so be careful. The machine is different but the effect is the same ugly brown lawn patches. Or worse, patches. This is a line edger scalp. Always line trim at the same height as your lawn. So, what’s the big deal? If you scalp your lawn doesn’t the grass just regrow? Not so fast. First of all, the scalp looks ugly. This is especially serious close to high-profile lawn areas. And also in late fall just before the lawn cutting season ends. Obviously, late season scalps will not cover over and will remain ugly all winter. I witnessed this once when a ride-on mower dude made several mistakes on the very last cut of the season. My then-boss drove by and freaked out. If the dude wasn’t a perfect ride-on mower drone, he would have been fired. Remember, lawns should look great all season. Don’t scalp them. 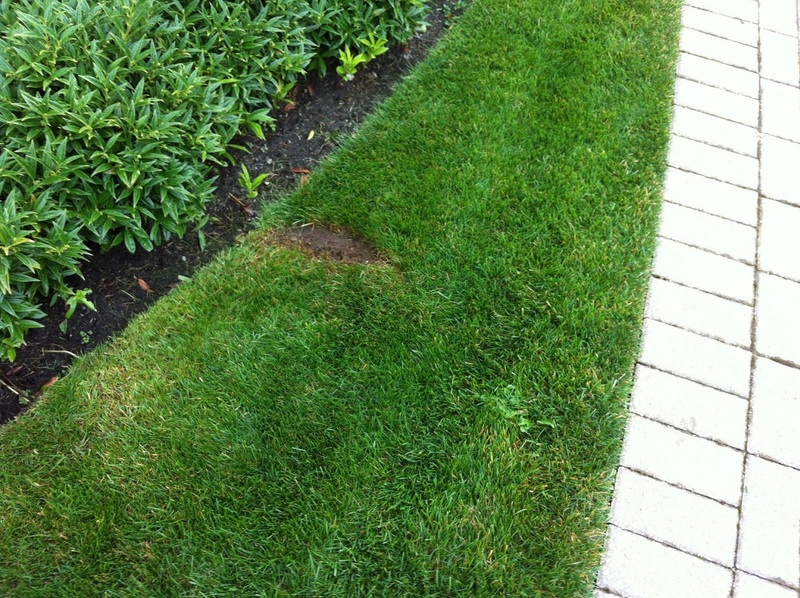 A classic lawn scalp where the mower slipped off the edge. The brown part is where the blade took out healthy grass. It’s ugly. Grass blades grow from meristems. These are growth points located roughly in the lower third of each grass blade. So, when you cut below this point, the grass doesn’t regrow. The ugly patch gets covered over eventually as neighbouring grass spreads out. That’s if you’re lucky. Smart lawn care workers quickly throw grass clippings over the scalp to make it look green, not brown. They also use line edgers to even out the green grass around the scalp to make it blend in more. Then pray to God your foreman doesn’t discover the mistake. By next week you could potentially blame someone else. I’m kidding, of course. Mistakes happen. Just mow better next time. Mastery takes time. Don’t scalp your lawns. It’s the ultimate sin in lawn care. Never run your mower through tree wells. It’s a bad habit. Just look at the wheel marks and the ugly brown scalp. Can you handle landscape requests? When you work on multi-family strata complex landscapes all week you are bound to get a few requests. Can you handle that? Of course you can. This is how it’s done. Don’t let owner requests derail your plan for the day. Yes, I know, sometimes the owners make it sound like the world is ending; and they leave you thinking that their medication ran out. So just note the request details, unit number and name. If it’s something really simple then do it right away. Today, for example, we had a shrub sticking out of the ground so we got a shovel and replanted it. Easy fix. If the request is more time consuming, make a note of it and do it as soon as you can. 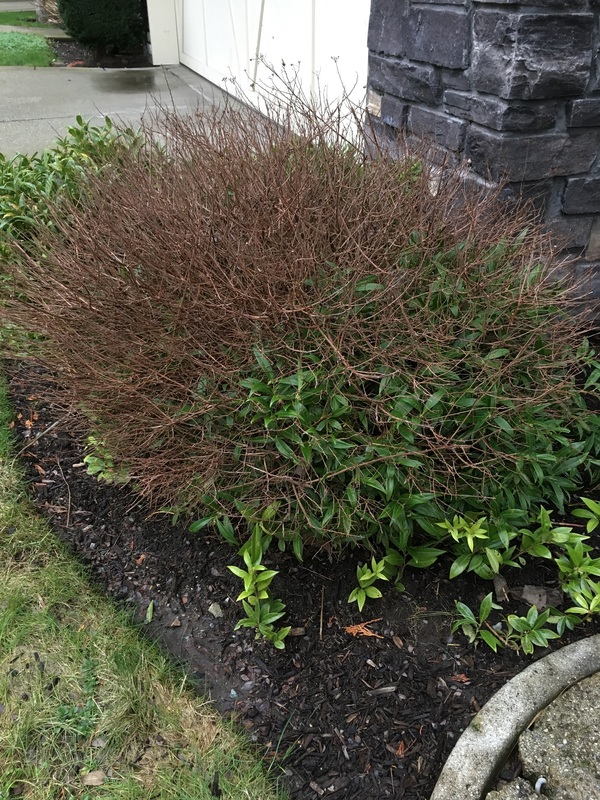 The owner freaked out about this Spirea japonica and Sarcococca marriage. I took several deep breaths and assured her that I would fix it as soon as I could. But not today because we had too much to do. Since I know this unit well, I didn’t have to write anything down. I like plant separation but this is hardly a disaster. If anything, it’s a good sign because both plants are doing well. The Sarcococca will push out fragrant flowers in February when nothing much is happening in the landscape. Spirea japonica is a summer shrub and it has decent fall colour as well. It took only a few minutes for me to hand snip the Spirea down by half. Don’t worry, I’ve done it before. It will push out again in spring. I also pulled out any Sarcococca runners that were too close to the Spirea. Don’t worry about client requests. Instead, be happy you can interact with your clients. Write down the details and do it as soon as you can. If it’s small, do it right away because your speed and attention will impress them. 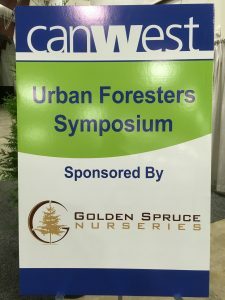 I write this blog post every year because I firmly believe that all landscape professionals in British Columbia should make time for the CanWest Hort Expo. I’m luckier than most in that my employer sponsors my CanWest visits by covering both my work time and the expo fees. But, whatever your circumstances may be, make time and budget to attend the 2019 expo. 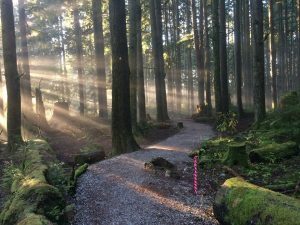 What’s so special about CanWest? Well, let’s see. I attend the event because I want to learn new things, collect CEUs (education credits) and pump out blog posts out of it. 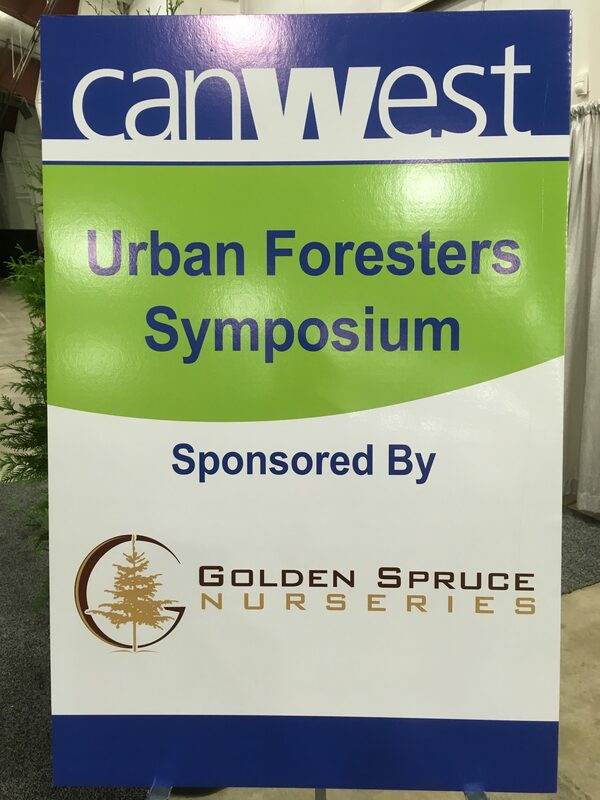 I usually spend the entire Wednesday learning at the Urban Forestry Symposium which leaves me a little bit of time to check out the trade booths. The symposium covers three to four lectures and many times the speakers are Ph.D. experts in their field. I fill up my notebook with notes and marvel at how articulate the presenters are. There is always a gem, one big idea or aha moment in every lecture. It’s money well spent. Lunch is included so try to mingle and network. I often steal extra pens and notepads. Take extra handout copies for your employees. And sign the CEU sheet for credit from the ISA. Last year I attended three short seminars which is all I could squeeze into my Thursday. You can pick whatever seminar topics interest you and go to those. There are usually several concurrent seminars going on and they all give you CEUs. This is the best booth at CanWest. Yes, you can put your passing score paper in for a draw prize but I do it for the challenge. Usually it comes down to the last two specimens. So, visit this booth and take the test. You could win a prize. Check out my blog about last year’s plant ID booth. Walk the floor and see what’s available for sale from tools and machines to nursery plants. This is another great opportunity to talk to people and network. Last year I ran into my ex-municipal foreman boss which was fun; and into some former co-workers. Always stay in touch with industry people. You never know. You can eat and drink alcohol at CanWest and there is live entertainment. I don’t normally care about this aspect of the show but some people get excited about tailgate parties. If you need workers or a job, there is a huge job board at the expo so stop by. The industry always needs good workers. 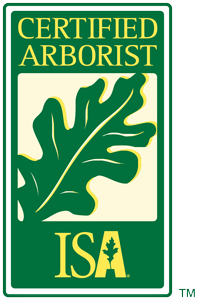 The 2019 CanWest Hort Expo is on September 24 and 25. Don’t miss it. See you there! Companies don’t need costly, formal wellness plans for their employees. It can be done informally. 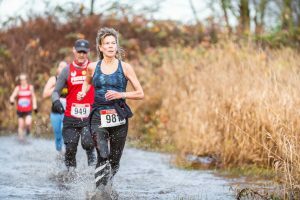 One good example is a trail race from November 2018. The company boss ran his first trail race with one of our fastest foremen. It was a gruelling off-road half marathon and also in the field were the famous- now retired- Vancouver Canucks Sedin twins. Not a bad race course! The boss generously sponsored six other employees in the short 12.5 km course race. And the game was on because I was the oldest in the group and they were all gunning for their supervisor. Fools. The North Shore morning sun was extremely pleasant but it was still cool in the shade. I was careful not to over-dress and I was the only runner in our group to warm-up. Remember, you should get to the starting line sweaty. One of the runners in our group, let’s give him a fake name like Stan, took off fast but we stayed close to him. Once he started walking in the first 3km, I knew I’d take him; and I did. Stan would later pollute the forest trails with his vomit. Four times! I felt surprisingly well, well enough to notice the morning mist spilling out of the forest and on to the open trail. It was an amazing effect, as if the forest was breathing. Once I passed Stan, nobody would come close to me and I crossed the finish line two full minutes ahead of one foreman. He considered it a success but I noted to myself that I’m old enough to be his father. The others finished well behind me but they finished! We took a team photo before I had to run off. Later at home I checked the results and I was ecstatic with my number one placing in age category. I still got it, I thought, but then I scrolled up and noticed that my boss had entered me in the 60-69 age group. Very funny. 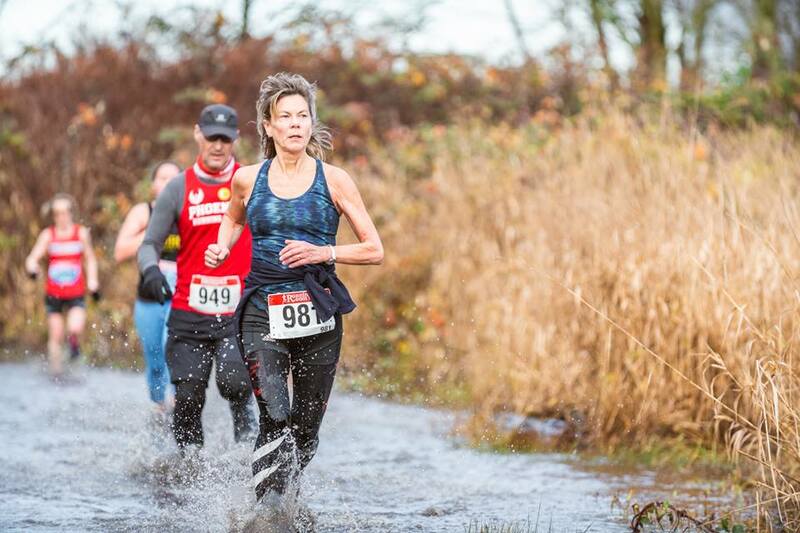 Landscape pro Vas (949) competing in the Gunner Shaw XC on December 1, 2018. This time I was sponsored by my Phoenix running club. 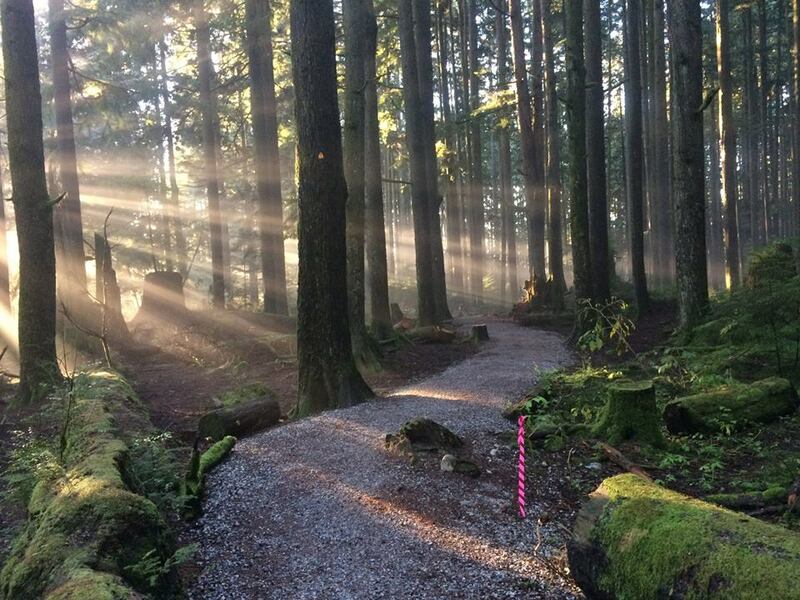 With a small investment my boss got seven employees to run a trail race in the woods on a sunny November morning. All of us finished and there was some team bonding happening. The boss even took them out for lunch. Next is the 2019 Sun Run, Canada’s largest 10 km race, which we will enter as a team in the corporate division. I think we’ll do fine. All companies can design informal wellness plans for their employees. It’s good for the company and for the workers.